Over the past few months of living in our townhome, I had begun to notice A Smell coming from somewhere in the basement. Nothing horrible. Not like something crawled in there and died. Just a slightly mildewy aroma that wafts if you walk through quickly. A brief investigation revealed (to my mild horror) that it was, in fact, the washing machine. My pride still intact (as much as it ever is), I turned my attention to the source of the problem. The machine. As we rent, I have no idea how old the machine is. And though the community takes very good care of most things, I somehow doubt that the washing machines get cleaned between tenants. Needless to say: It's time. 1. 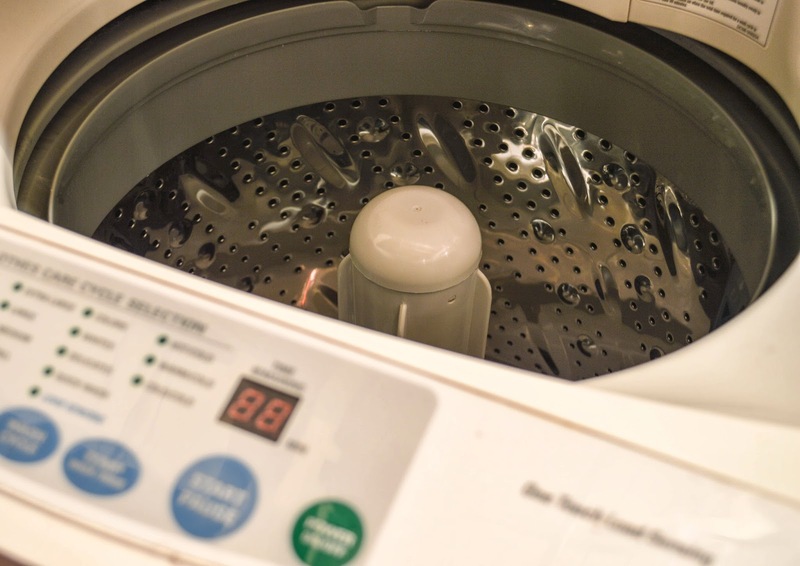 Safety First: Unplug your washing machine. You can't be too careful. 2. Let's play Find the Filters! Thought it was just your Dryer that had these? Nope! You may need to look up online to see where it's located on your model. For mine, there are two filters located inside the drum. A quick glance (or whiff) and it was easy enough to see that they had possibly NEVER been cleaned before. Ever. Amazingly disgusting. Remove any gross build up in the filters (which is an IMMEDIATE improvement in the smell), and drop the filters themselves into a sink full of hot soapy water. Allow to soak for fifteen minutes. 3. Wipe down the inside. 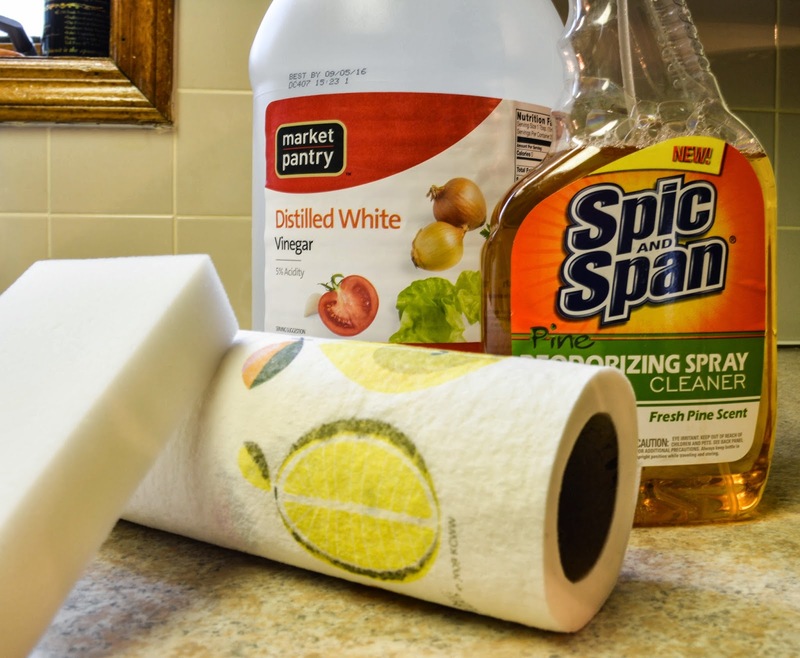 Use a wet rag with a bit of white vinegar or cleaning solution with bleach to wipe down the place where the filters are seated, as well as the interior drum of the machine. Clean any dispensers, making sure to get all crevices and cracks. An old toothbrush or a cotton swab dipped in cleaning solution helps. Clean around all gaskets. These rubber spots are a prime place for mildew build up. 4. Replace the filters, after making sure that they're as clean as you can possibly get them. 6. **Fill your washing machine to the max with hot water, and add 4-6 c. white vinegar. Let water agitate for a minute or two after filling, and then stop machine and allow to soak for 45 minutes to an hour. 7. Meanwhile, use this time, to give the outside a good wipe down. If you have any tough marks that you can't seem to scrub off, try using a Magic Eraser. 8. After the water and vinegar has stood for 45 minutes to an hour, run the washer on the longest, hottest wash and rinse cycle. 9. 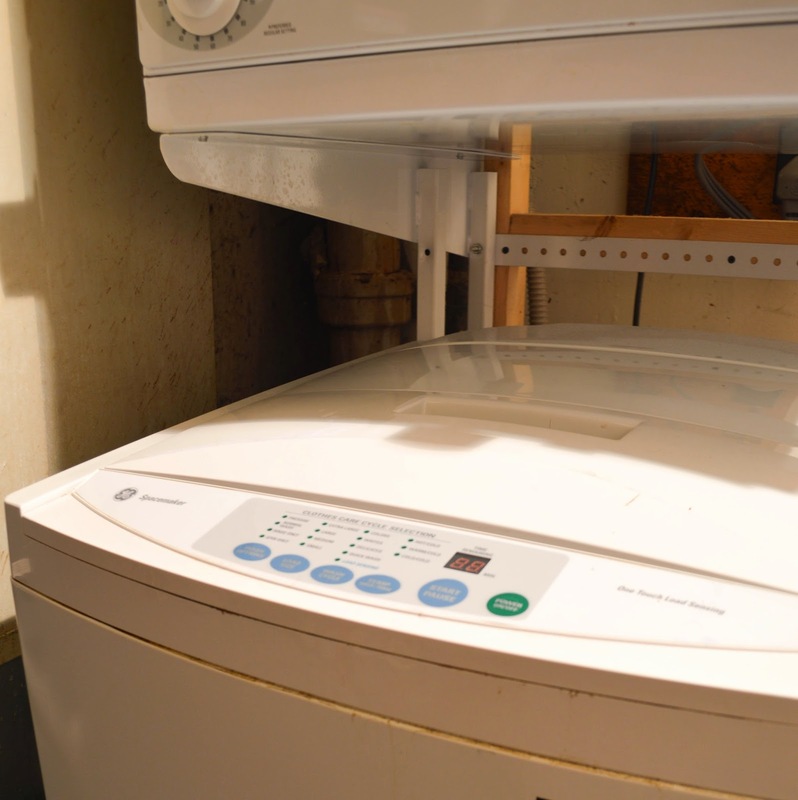 Once the cycle is complete, and the washer is drained and empty, run a hot cycle one more time to make sure everything is rinsed completely out. There. Doesn't that smell better?